Last summer, the state’s highest court ruled that judges could continue to order jail time for defendants who violate probation by using drugs, dismaying public health advocates and addiction specialists who had hoped to revolutionize the way the criminal justice system treats people with substance use disorders. Now, they are asking the Legislature to do what the Massachusetts Supreme Judicial Court would not: Prevent courts from incarcerating defendants who are in treatment and fail a mandatory drug test while on probation. “Given what we know about substance use disorder and how relapse is very often part of the trajectory of treatment, the thought of someone going to jail for failing a drug test just felt very egregious to me,” said state Senator Cindy F. Friedman, an Arlington Democrat who sponsored the legislation. Sixty-three other legislators have cosponsored the bill, which is before the Judiciary Committee, support that has advocates optimistic about its chances for passage. The legislation is likely to renew the debate in the medical community on the extent to which addiction hinders the ability to abstain from drug use. And eliminating the longstanding practice of making relapse a violation of probation will meet resistance from judges, probation officers, and some medical professionals, who fear it will prevent court officials from using their judgment to decide individual cases. Last July, the SJC unanimously ruled that while judges should consider the challenges facing a defendant with drug addiction, they should retain the authority to detain a defendant who has violated probation by using drugs. “Judges cannot ignore the fact that relapse is dangerous for the person who may be in the throes of addiction and, often times, for the community in which that person lives,” Justice David A. Lowy wrote for the court. The decision was widely criticized by doctors, defense lawyers, and addiction specialists who said the court failed to take into consideration the central argument of the case: that most medical experts, including the surgeon general, have established that substance use disorder is a chronic illness that not only reduces one’s decision-making, but makes relapse likely. The ruling came following an appeal brought by Julie Eldred, an Acton woman who was 27 when she was incarcerated in 2016 for testing positive for fentanyl while on probation for stealing jewelry, a crime she committed to pay for her addiction. The Massachusetts Medical Society, the American Academy of Addiction Psychiatry, and dozens of doctors filed briefs in support of her argument. After the ruling, Eldred’s lawyer, Lisa Newman-Polk, who is also a clinical social worker, began meeting with the American Civil Liberties Union of Massachusetts, public health advocates, and legislators to craft a law that would forbid courts from sending offenders who relapse to jail and order treatment instead. The bill would also limit how often the court system can test a defendant for drug use to four times a month. Currently, there are no limits on testing, and people on probation have complained that random drug screenings force them to leave their jobs in the middle of the day, putting their livelihoods at risk. Jennifer Donahue, a Trial Court representative who spoke for both the state’s trial court and probation department, declined to discuss the measure. “At this time we do not have a comment on this specific bill, which addresses a very complex topic,” Donahue wrote in an e-mail. 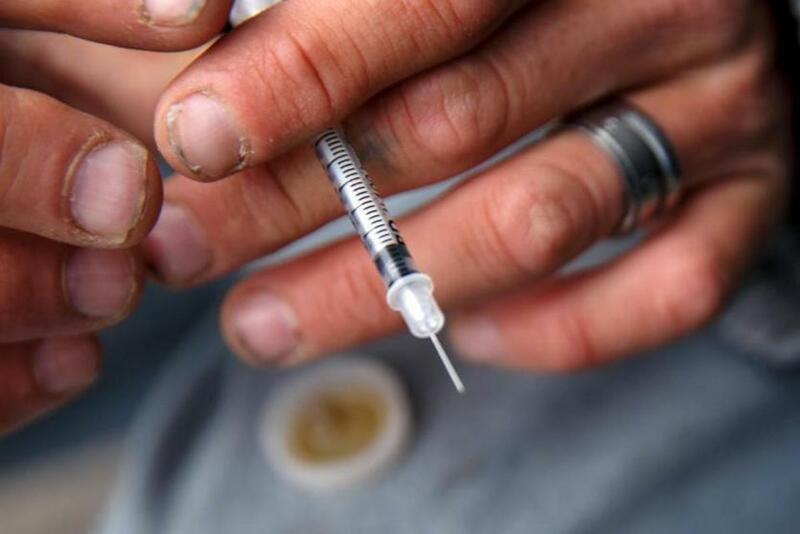 A district court judge who regularly sees defendants dealing with addiction said any legislation that curtails the ability of judges to decide cases sets dangerous precedent. Jared Owen, who spent 18 months in jail awaiting trial for armed robbery charges — a crime he said he committed to sustain a heroin addiction — said he supports the bill because he has witnessed the futility of using jail as a threat to someone in the throes of addiction. Owen, who became addicted as he was finishing his graduate program at MIT, said he eventually was moved from jail into a treatment program, where he saw people so overwhelmed by their addiction they risked everything to feed it. Clarification: The total number of legislators supporting this measure has been updated.